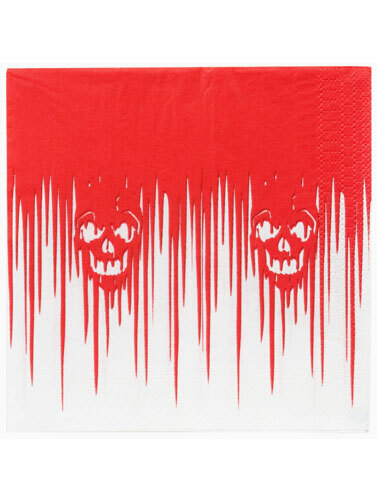 Bloody Banquet Luncheon Napkins will help you set a bloody banquet table for Halloween. Red and white color with a scary dripping blood print. Bloody Banquet Luncheon Napkins measure 6.5" x 6.5". 16 ct.